Modern architecture has taken some surprising turns in the past few years. It’s possible to find almost any type of home to fit your family size and lifestyle all while maintaining a small ecological footprint. In this article, we’ll take a look at some of the more popular options when it comes to new forms of home architecture. Can you imagine a “printed” home? Modern building methods have begun to take advantage of 3D printing—it’s possible to have a “printed” home built for you and your family. 3D printing is used for creating the core of the building or to make certain components for the home. Printing materials commonly used include concrete/cement, wax, foam, polymers, powder bonding, etc. 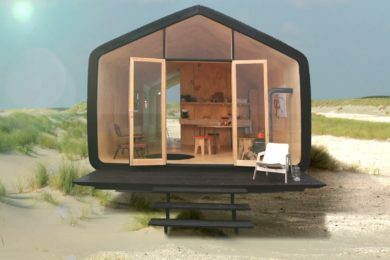 With all of these benefits, why aren’t 3D printed homes popular? There are a few reasons. The printers are expensive—costing several million dollars each. In addition, some of the materials used may be toxic. Walls and exteriors may not be very smooth, but rough due to the printing process. 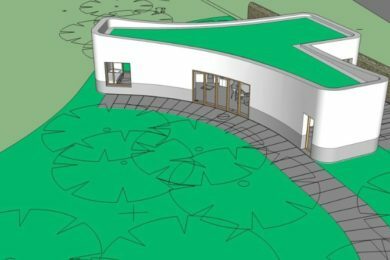 Even with some of the issues noted above, 3D printed homes will continue to evolve and become an affordable option for those who’d like to have a more environmentally friendly home. Tiny houses have become very popular in the last few years. These homes are often chosen by people who’d like to live a simpler life with fewer possessions, but live in a home with a sustainable ecological footprint. There’s no one definition of what exactly constitutes a tiny home. A home may be classified as tiny if it’s under 500 square feet (46 m2). These homes first became popular during the financial crisis of 2007-2008, when people faced lower incomes and needed affordable places to live. Tiny homes were also considered as more functional and easy to move from place to place when built on a chassis with wheels. 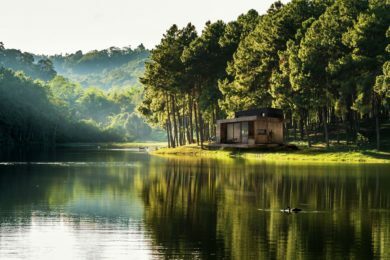 Tiny homes range from what most people would consider a shack or cabin, all the way to homes that are quite modern and furnished with the latest in interior design and modern conveniences. These small homes are also seen as environmentally friendly, as they don’t take much energy to operate, and only a small amount of building material is needed to build these diminutive homes. Modular homes are another popular modern architectural choice for homeowners. They’re built in sections—usually inside a factory. When the modules are completed, they’re moved to the owner’s home site and then placed on a pre-made foundation, put together by professionals and completed by a local builder. These homes can usually be completed in about four weeks. 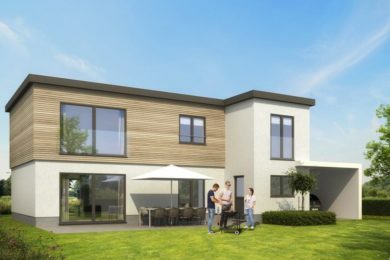 Modular homes offer many benefits, such as they are usually cheaper to build than a traditionally built home, they are typically energy efficient, you’ll be able to move in and live in your new home much sooner than in a house built in the traditional manner. Modular homes must be built according to state, local and regional codes, so you are sure of a home that’s safe to live in. There are some disadvantages to modular homes. These include a perceived lack of real estate value when trying to sell, as compared to a traditional home. Modular homes may take longer to sell and may need to be sold at a lower price. In addition, while modular homes can be built in a wide variety of designs, it’s not as easy to customize them. You may also face a more complicated loan process when buying a modular home. It pays to look at all the costs involved—not only for the home, but also for the land where you’ll build your home. Another trend in modern architecture is the desire and need for homes where parents and their adult children can live together. These are known as cohabitation or multi-generational homes. According to a Pew study, in 2014 more young adults between 18 and 34 years of age were living with their parents—for the first time in 130 years. What’s causing this trend? The cost of living in many areas is too much for Millennials who are burdened with student loans and low-paying jobs. Or some Millennials choose to move back home after college in order to save money for the future. What should you look for when considering a cohabiting home arrangement? Look for homes that fit your lifestyle. Will you be living with older parents, then you’ll need to consider how to make the home safe and comfortable for them. Would you prefer to have separate living spaces and/or a joint kitchen and eating area? There’s a lot to consider. It’s important to make sure everyone in the family is comfortable and their needs are taken care of to make life together cozy and enjoyable. 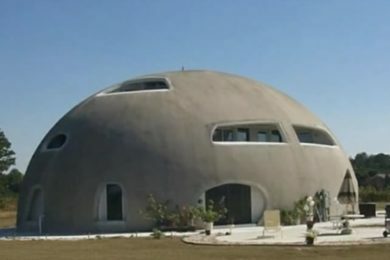 A bioclimatic house is a home designed to take advantage of the building’s natural surroundings. Such a home is considered a passive home, one that is energy efficient in order to reduce the building’s ecological footprint. These homes not only limit greenhouse gas emission, but they offer high energy savings, which lead to financial savings for the owner. 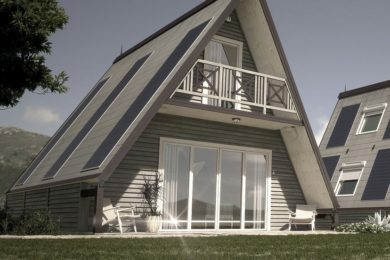 Bioclimatic homes take advantage of natural materials and make use of solar design. For instance, in some areas, a home’s main windows may be placed on the southern side to take advantage of light and passive heat provided by sunshine. Is this type of architecture new? No—it’s been around for centuries, but modern building techniques are only now beginning to take advantage of this passive type of home. Homeowners can expect to pay for 40-80% less for their heating and air conditioning. More and more people are becoming concerned for the environment and looking for homes made to leave the smallest footprint possible. Shipping container homes are another popular option for people who enjoy novel homes. What is a container home? These homes are actually created using shipper containers, such as you would find on a ship or even a train. These containers may be used or new, and their versatile in that they can be positioned to create shapes and any style of home you’d like. Why are people choosing to live in shipping container homes? They’re priced right—they’re usually cheaper than building a traditional home. Shipping container homes are also environmentally sustainable because they’re recycling shipping containers and not using other construction materials such as wood, etc. Homes made of shipping containers are fast to put together and are versatile—you can create almost any design you can think of. How are shipping containers installed on site? They’re generally delivered to your home’s site, and are placed on a foundation. Once the foundation’s completed, it’s time to use a crane to life the sections into place, and is then connected to the foundation. That’s it! As you can see, there are many options available when it comes to the type of homes now available. Many are ecologically sustainable, cheaper to build, offer lower living costs and more. These days, you can find a home to fit almost any need and lifestyle you choose.